The 864 TRV Gas Fireplace is the perfect choice for anyone looking to display a big, beautiful fire without the need to heat a large area. This fireplace offers the ultimate in heating flexibility, allowing you to control the heat output to a comfortable setting for any occasion. 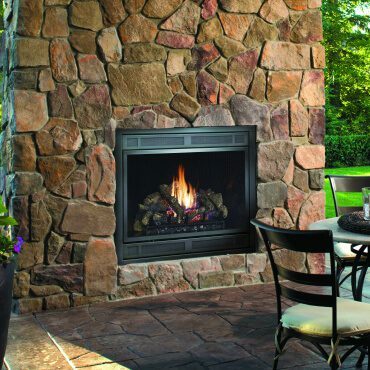 This gas fireplace can provide great supplemental warmth to your home on those cold winter nights, or can be utilized with the Comfort Control feature to turn the heat output down while maintaining a beautiful fire to create a romantic, relaxing ambiance. The 864 TRV features a beautiful high definition log set with glowing embers, and is further enhanced with rear accent lights that add a warm highlight to the interior of the fireplace, even when the fire is off.